Update (25 June 2015): Please note the application period for this role has now closed. 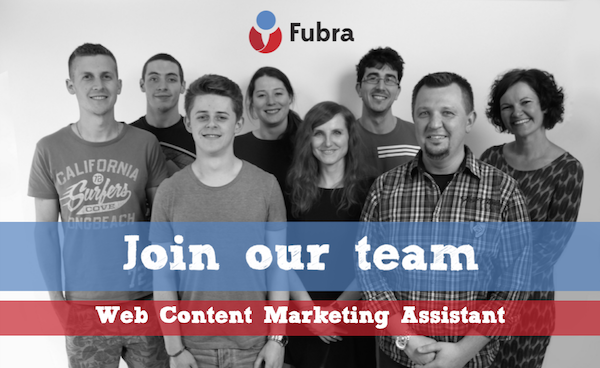 With a portfolio of websites reaching over a million combined monthly visitors, Fubra has an exciting opportunity for an enthusiastic web content assistant who would join our vibrant content marketing team on a full-time basis. Located in Aldershot, Hampshire, this is an ideal role for someone with some copywriting and content management experience who is passionate about travel. Content management – Updating and refreshing existing content across our network of websites, ensuring information is correct and up to date. Maintaining this content and looking for new opportunities. Much of this will involve editing and uploading content to live sites via a CMS or WordPress. Content creation – Writing news stories, blog posts, articles, newsletters, and other material for websites and social media channels. Content monetisation – Ensuring our content is generating income for the business through advertising and other partnerships. Marketing – Using SEO techniques and social media to manage and create content with the aim to raise awareness of our brands and bring new customers to our sites. Just fill the form below and we'll get back to you. © 2000 - 2019 Fubra Limited. All Rights Reserved.